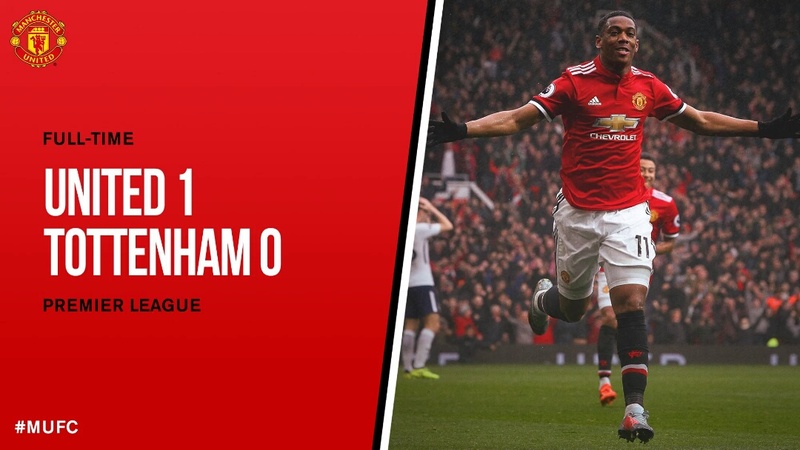 A late second-half strike from super-sub Anthony Martial secured a significant 1-0 win over fellow title challengers Tottenham Hotspur in wet conditions at Old Trafford. 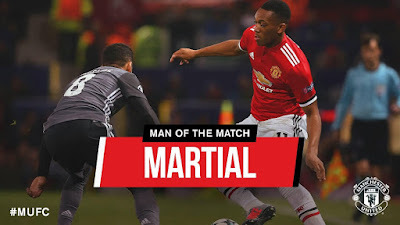 Martial, who replaced Marcus Rashford midway through the second half, latched on to Romelu Lukaku's flick from David De Gea's long kick to give the Reds three hard-earned points. Jose Mourinho opted to go for three at the back as Phil Jones and Chris Smalling partnered the returning Eric Bailly in central defence. 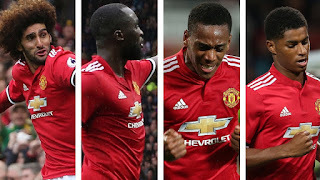 Further forward, Ashley Young, Antonio Valencia, Henrikh Mkhitaryan and Lukaku, who all sat out the midweek Carabao Cup win over Swansea City, returned. Harry Kane was left out of the Spurs squad due to injury. Prior to kick-off, a minute's silence was impeccably observed in memory of those who gave their lives in armed conflict. 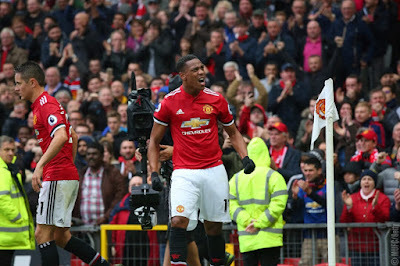 Following four successive away games in three different competitions, United returned to home turf and the Reds' faithful, recognising the magnitude of the game, certainly made up for lost time with an electric atmosphere inside Old Trafford, despite the early 12:30 kick-off. The United players responded and started brightly as Young fed Lukaku and his cross was clutched by Hugo Lloris before Rashford could close in at the far post. Soon after, Rashford fired a 35-yard fizzing free-kick which sent the Spurs goalkeeper sprawling down to his right-hand-side to tip around the post. The visitors, who had lost just once in 13 games in all competitions this season before bowing out of the Carabao Cup in midweek, looked to silence the United crowd early on with much of the possession, but Mauricio Pochettino's men were restricted to long-range efforts. Tensions were running high as Young and Dele Alli came nose to nose and both sets of supporters passionately cheered every rasping challenge. Heung-min Son, Dele Alli and Eric Dier all had half-chances for Tottenham, but David De Gea easily dealt with all three, as a fiery first half came to a close. The Reds came flying out of the traps after the break, possibly under fierce instructions from Mourinho. 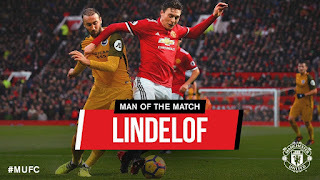 First, Mkhitaryan fired low at Lloris and Ben Davies cleared before Rashford could tap home the rebound, before United's midfield Armenian crossed low for Lukaku, but Lloris's out-stretched foot denied the big Belgian the chance to score. Valencia then so nearly replicated what he did against Everton a few weeks back, but his bullet grazed the top of Tottenham's crossbar. United were having much more of the ball in the second half and following the introduction of Martial, the Reds had a decent chance to score. The French forward cutely flicked the ball around the corner for Matic to send Lukaku away but Lloris again thwarted his Belgian opponent with an outstretched hand. At the other end, Alli had the game's best chance as he latched on to Christian Eriksen's delightful chipped ball, but could only toe the effort wide with just De Gea to beat. Lukaku then headed against the post moments later following substitute's Jesse Lingard's right-wing cross. But it was Martial who was to grab the headlines from the bench again as he latched on to Lukaku's flick to calmy slot past Lloris. 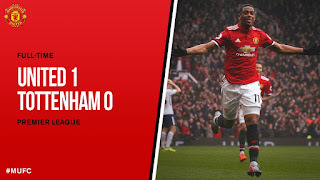 Lingard had the chance to put the icing on the cake late on, instead firing over when clean through, but with De Gea and his defence again standing firm, one goal was enough to claim three points. United: De Gea; Bailly, Jones, Smalling; Valencia (c), Herrera, Matic, Young (Darmian 90+1); Mkhitaryan (Lingard 65), Rashford (Martial 70); Lukaku. Subs not used: Romero, Blind, McTominay, Mata. Tottenham: Lloris (c), Aurier, Alderweireld, Vertonghen, Davies, Dier, Winks, Sissoko (Dembele 62), Eriksen, Dele, Son (Llorente 62). Subs not used: Vorm, Rose, Sanchez, Trippier, Nkoudou. The Reds may have slipped up in the Premier League last time out following an under-par performance against newly-promoted Huddersfield Town, going down 2-1, but Mourinho's men backed up the midweek Caraboa Cup win over Swansea with a vital victory today. Anthony Martial has a knack of scoring from the bench this season, having done the same against West Ham, Swansea and Everton already. 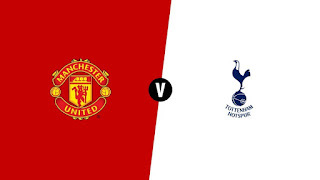 The Frenchman has now added Tottenham to that growing list with a crucial late winner which keeps United firmly in the hunt for the Premier League title. The result means United are now undefeated in 36 consecutive fixtures at Old Trafford since a 2-1 loss to local rivals Manchester City in September 2016. The Reds have not yet conceded in the league at home in this 2017/18 season and are the only team in Europe's top five leagues who can boast this achievement. The Reds turn attention back to the UEFA Champions League on Tuesday when Benfica come to Old Trafford (kick off 19:45 GMT). 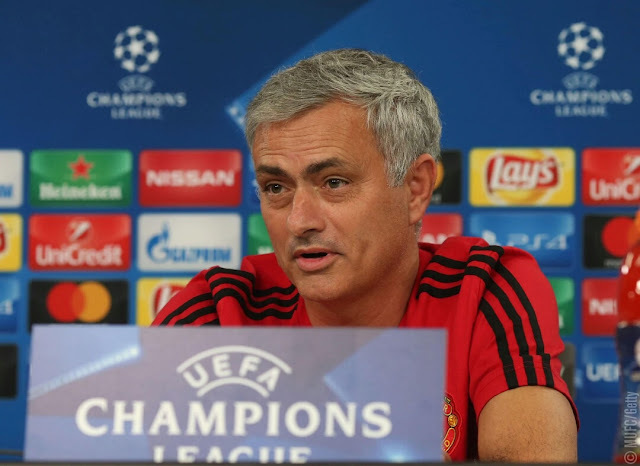 United can continue the 100 per cent record in this season's European competition with another triumph and in the process, virtually secure qualification through to the knockout stages.